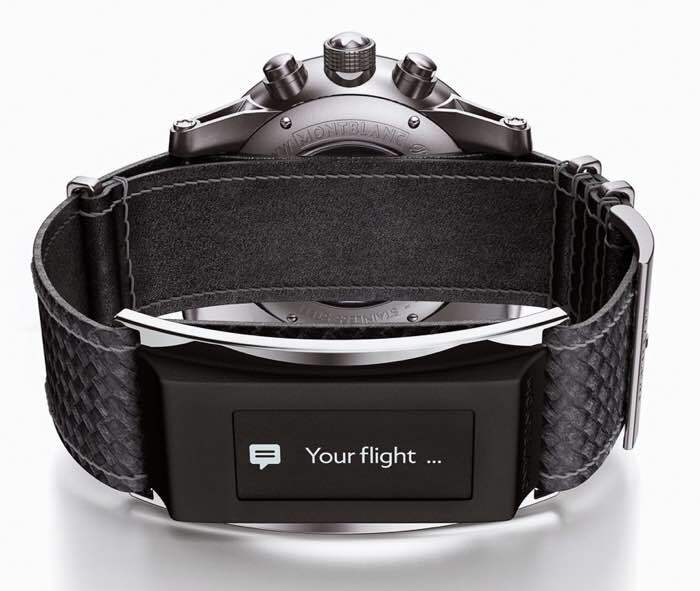 Montblanc has announced a new accessory for your watch that is designed to give a normal wristwatch smartwatch functions, the Montblanc e-Strap. 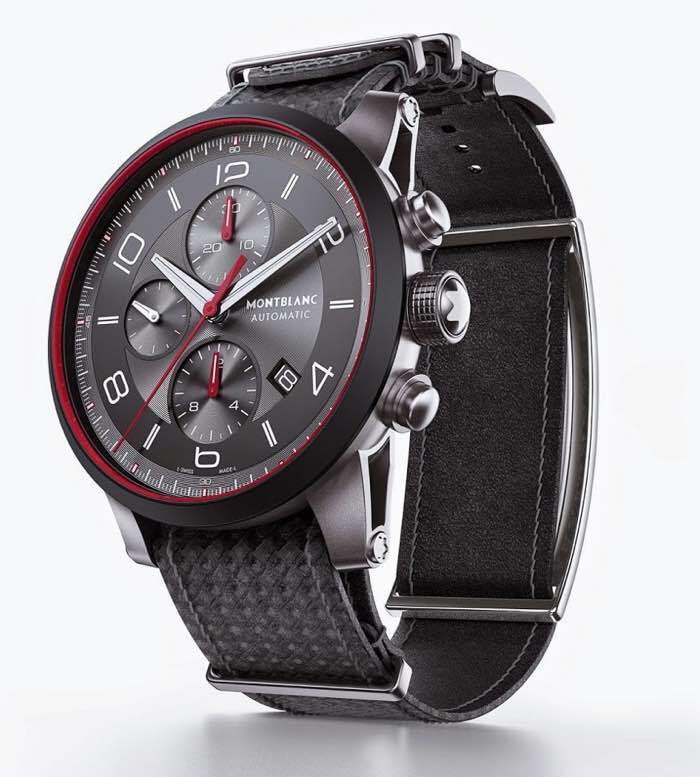 The Montblanc e-Strap will be available as an option with the company’s new Montblanc Timewalker Urban Speed collection. The watch strap is made from leather and it comes with a carbon fiber like texture, on the back of the strap is a a 0.9 inch OLED display with a resolution of 128 x 36 pixels. The Montblanc e-Strap is compatible with both Android smartphones and Apple’s iOS devices, and it can be used for notifications and fitness tracking. The company will offer the strap with their new Timewalker range, and the strap will retail for €250, although the watches in the range will start at around €2990.